The Forrest Classification was first described in 1974 by J.A. Forrest et al. in TheLancet1. This classification is a widely used classification of ulcer-related upper gastrointestinal bleeding. It was initially developed to unify the description of ulcer bleeding for better communication amongst endoscopists. However, the Forrest Classification is now used as a tool to identify patients who are at an increased risk for bleeding, rebleeding and mortality2–4. Figure 2c (i). 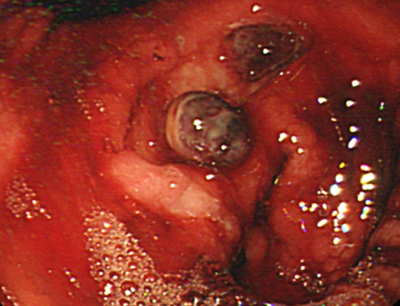 Forrest Ib ulcer at the gastrojejunal anastomosis, with visible vessel and active oozing. Figure 2c (ii). 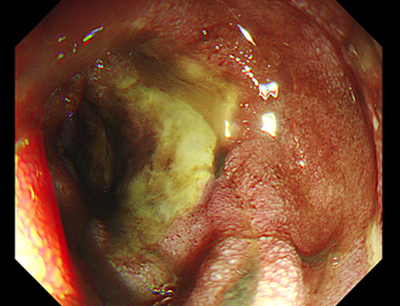 The same ulcer as above, but after an injection of adrenaline. 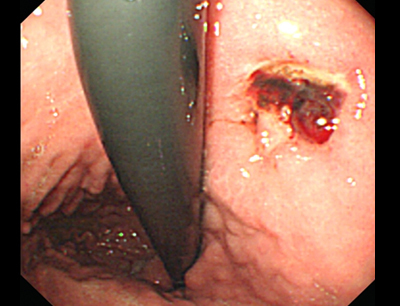 This shows a visible vessel at the anastomotic ulcer. Figure 3b(i). 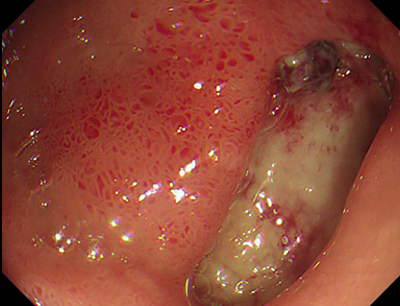 Forrest IIb ulcer at incisura. 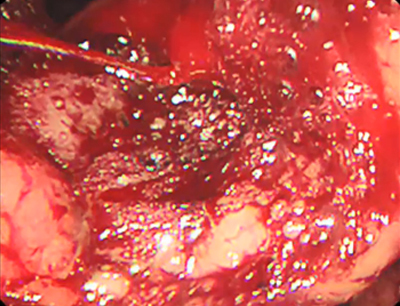 With ulcers with an adherent clot, it is important that the clot must be removed by vigorous and meticulous flushing in order to reveal underlying visible vessels. Figure 3b(ii). 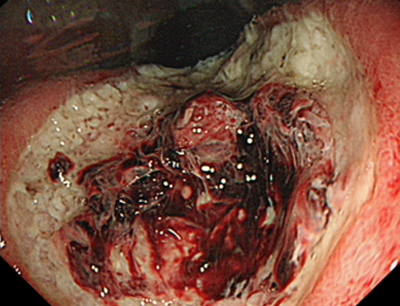 The same ulcer as above, but after the clot was removed. It revealed an underlying visible vessel. Forrest, JA. ; Finlayson, ND. ; Shearman, DJ. (Aug 1974). 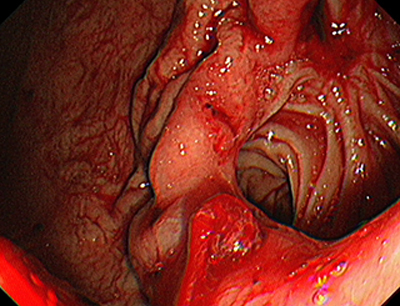 ‘Endoscopy in gastrointestinal bleeding’. Lancet. 2 (7877): 394–7. Rockall, TA, Logan, RF, Devlin, HB et al. 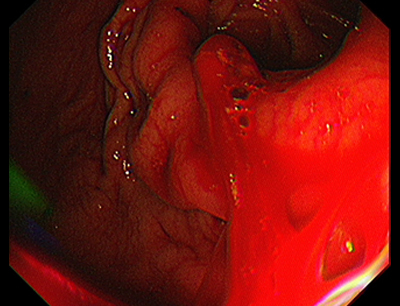 ‘Risk assessment after acute upper gastrointestinal haemorrhage’. Gut 1996; 38: 316–21. Guglielmi A, Ruzzenente, A, Sandri, M et al. 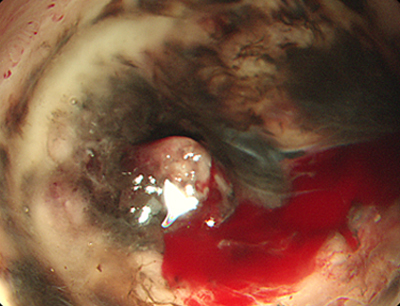 ‘Risk assessment and prediction of rebleeding in bleeding gastroduodenal ulcer’. Endoscopy 2002; 34: 778–86.